NLC Recruitment 2018 Apprentice 460 Trainee Notification – Get Here Online NLC Important Dates, Eligibility Criteira, Pattern & Syllabus, Selection process & Vacancies details etc. 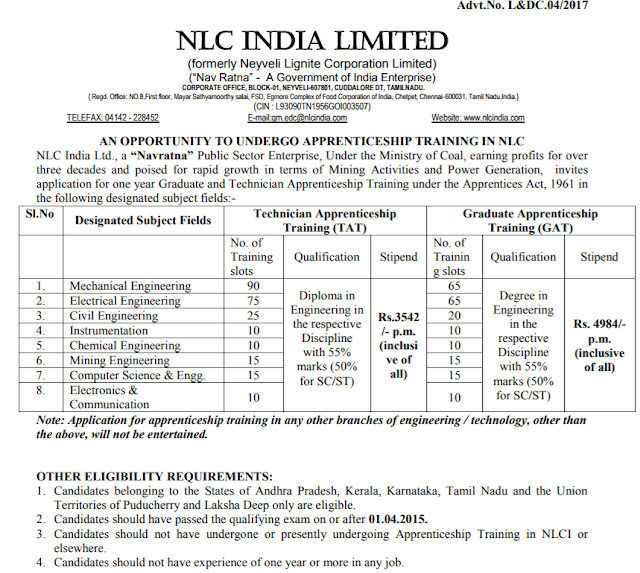 NLC Recruitment 2018: The Neyveli Lignite Corporation Limited has rolled out an official notification for the selection of 460 candidates at Technician Apprenticeship Training (TAT) & Graduate Apprenticeship Training (GAT) posts. 1. Candidates belonging to the States of Andhra Pradesh, Kerala, Karnataka, Tamil Nadu and the Union Territories of Puducherry and Laksha Deep only are eligible. 2. Candidates should have passed the qualifying exam on or after 01.04.2015. 3. 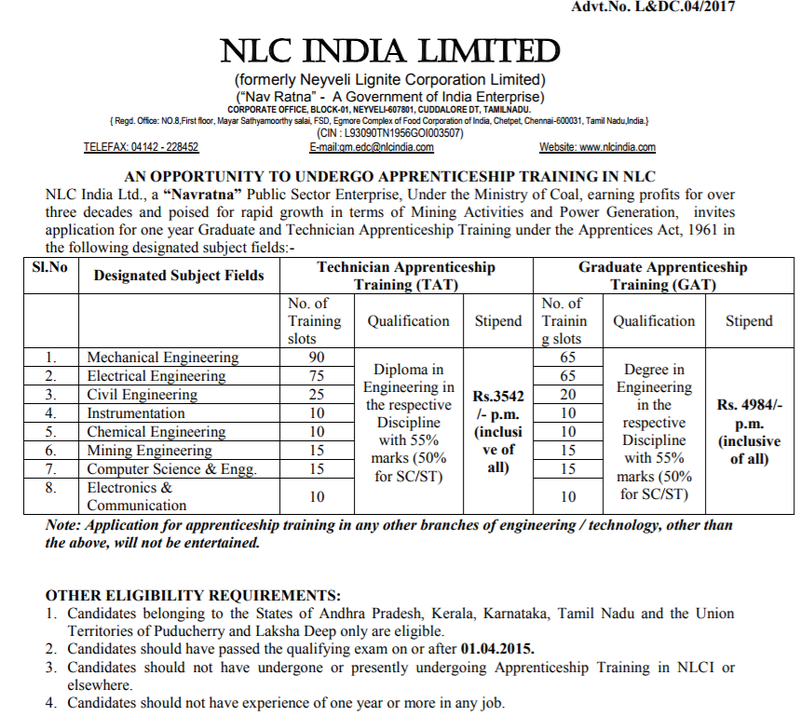 Candidates should not have undergone or presently undergoing Apprenticeship Training in NLCI or elsewhere.